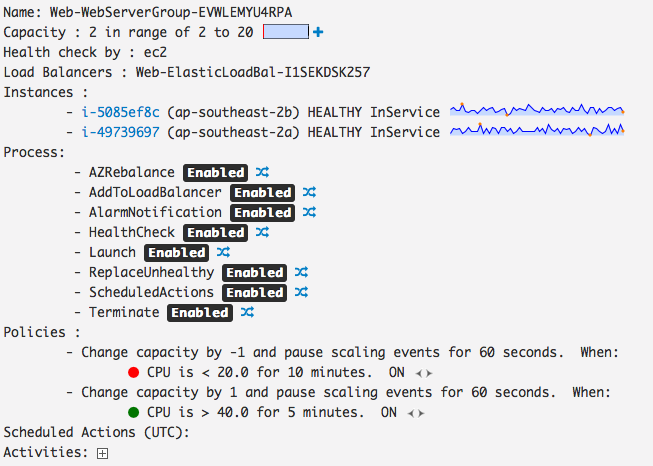 Last year Jeff Barr did a blog post on improvements to the AWS Console. One of these was about "Deep Linking Across EC2 Resources". "The new deep linking feature lets you easily locate and work with resources that are associated with one another. For example, you can move from an instance to one of its security groups with a single click." This deep linking is something you can use yourself when creating operational dashboards or your own interfaces. For example here is a little dashboard that I have which displays a quick interactive console for an Auto Scaling Group. 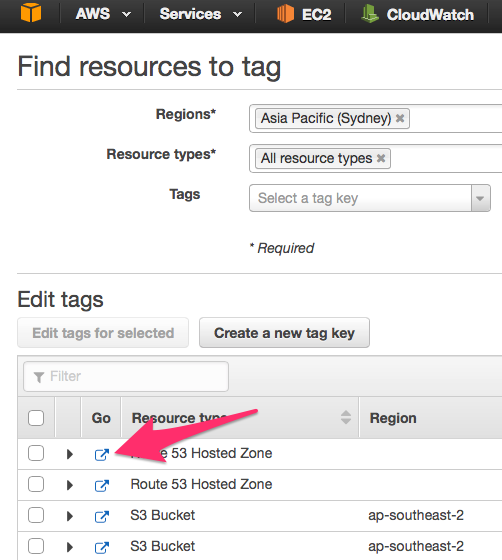 You can see that the instance IDs are links, which take you to the specific instance in the EC2 console. If you look in the AWS Console documentation you will not find any documentation for the deep linking URLs. Here is a list of what I have used which works, your millage may vary. There are lots of others. To reverse engineer one you can use the Tag Editor which shows them, see below. If you are keen to find out about a specific deep link but can't find it, post in the comments.